The leisure partner that will build a new leisure centre in Coalville, transform the leisure centre at Ashby de la Zouch and manage both centres for the next 25 years has been chosen. Everyone Active has won the contract to manage the centres in partnership with North West Leicestershire District Council (NWLDC). Based in Hinckley, the company currently operates numerous leisure facilities in Leicestershire, including in Melton, Oadby and Wigston and Blaby. With the contract starting in May 2019, work totalling almost £1.2 million to reconfigure and revamp Hood Park Leisure Centre – which will be renamed Ashby Leisure Centre and Lido – will begin in August and be completed in November 2019. 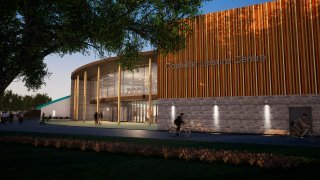 Planning permission is required for the new £22 million Coalville Leisure Centre, which will be built on council-owned land off Stephenson Way (A511). The new centre will take around 18 months to build and is expected to open in 2021. Sauna, steam and spa pool. NWLDC has this week launched the Health and Wellbeing Strategy for the district, which will see a number of organisations working together to improve health outcomes in North West Leicestershire. Targeted activities and programmes for older people and people who have been referred by their GP. Hermitage Leisure Centre in Whitwick will stay open until the new centre opens. Options for the site once the centre closes will be drawn up by the council after the start of the contract in May 2019. Councillor Richard Blunt, Leader of NWLDC, said: “We’re very excited to announce the partnership between the council and Everyone Active, which will see a brand new leisure centre in Coalville, a revamped facility in Ashby and a real emphasis on health and wellbeing for our district. NWLDC has recently agreed to invest an additional £1 million in leisure in Ibstock, Measham and Castle Donington, focussing on the fitness facilities within the centres there, which are run in partnership with local schools. Councillor Alison Smith MBE, Deputy Leader and Portfolio Holder for Community Services at NWLDC, said: “Hermitage Leisure Centre is very popular with lots of loyal customers and excellent staff, but the building is very old and is no longer fit for purpose. The new leisure centre will provide excellent access to top quality facilities for the whole district. 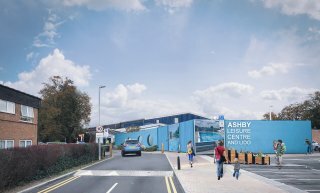 We’re also very pleased that the Ashby centre will receive over £1 million of investment, reconfiguring and refurbishing the whole centre to bring it up to modern standards and making the most of its unique outdoor lido. Everyone Active will take on the management of both Hermitage and Hood Park Leisure Centres, including the buildings and staff, and will run both centres while the new one is being built. Dan Hicks, Everyone Active’s Area Contract Manager, said: “This is a very exciting time for leisure in Coalville and Ashby de la Zouch, with significant investments being made to provide state-of-the-art facilities for the local areas.